Today we have another insight from Peter Hawkeye of Hawkeye Tips. But before I hand you over to Peter I just want to remind you that Daily Punt readers can still get a whole month of Peter's tipping service for just £7.99. I always like to look out for good claiming jockeys on top weights in handicaps and today Joey Haynes has the ride on Jack Luey 5.20 Thirsk at a general 9’1. Haynes has been in good form recently with plenty of places & winners and looks very good value for his claim. Peter has cast his eye over an Apprentice Jockey race this week, taking the same approach as his amateur jockey system. 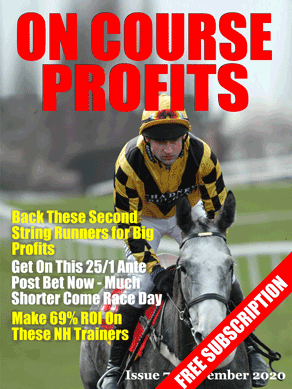 If you check out the proofing tables at Race Advisor you'll see that Hawkeye Tips has a huge return on investment (181%) with his big priced selections and now Daily Punt readers can try them for a month for just 7.99. There is a nice little apprentice handicap that bookends the Chester card at 5.45. Distant High 15’2 ran well in a maiden at this course, has the plum draw and the jockey has a 15% strike rate in the last two weeks. Daniel Cremin has a 29% strike rate and he partners Rough Courte 11’1 although the horse is drawn on the outside.